Good Will Hunting. Dir. Gus Van Sant. Perf. Robin Williams, Matt Damon, and Ben Affleck. 1997. DVD. Lionsgate, 2011. We all know that there's lots of Shakespeare in Boston. And one of the best movies featuring Boston accents in Good Will Hunting. But did you notice the Shakespeare-with-a-Boston-accent in Good Will Hunting? I ask you about war, you'd probably throw Shakespeare at me, right? "Once more into the breach, dear friends." But you've never been near one. You've never held your best friend's head in your lap, and watched him gasp his last breath looking to you for help. I ask you about love, you'd probably quote me a sonnet. But you've never looked at a woman and been totally vulnerable—known someone that could level you with her eyes. It's a fabulous scene, and I include it below. N.B. : The language in the clip is, like the film, rated R.
There's something quite marvelous about that. And I think I'm ready to acknowledge that Shakespeare doesn't equate to experience. But I do think Shakespeare helps us to understand the experiences that we have had and imaginatively to experience those we haven't. Yes, the Chorus of Henry V asks us to piece out the plays imperfections with our thoughts and to "Think, when we talk of horses, that you see them / Printing their proud hoofs i' th' receiving earth" (Pro.26-27), but Shakespeare's genius lies it making it very easy for us to see the horses that aren't there—to know something of the experience of war—to find an articulation of the love we know we have. 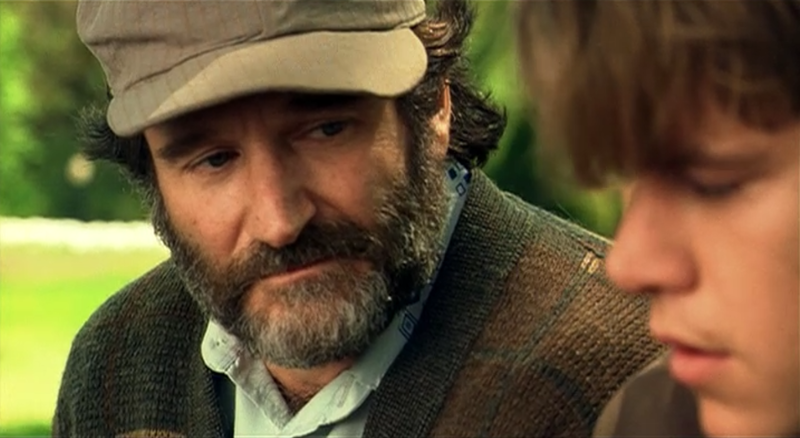 Just like Good Will Hunting enables us to know something of the experience of losing a spouse to cancer or what it's like to be an orphan growing up in Boston. Any Dickens fans out there ready to defend Oliver Twist on similar grounds?